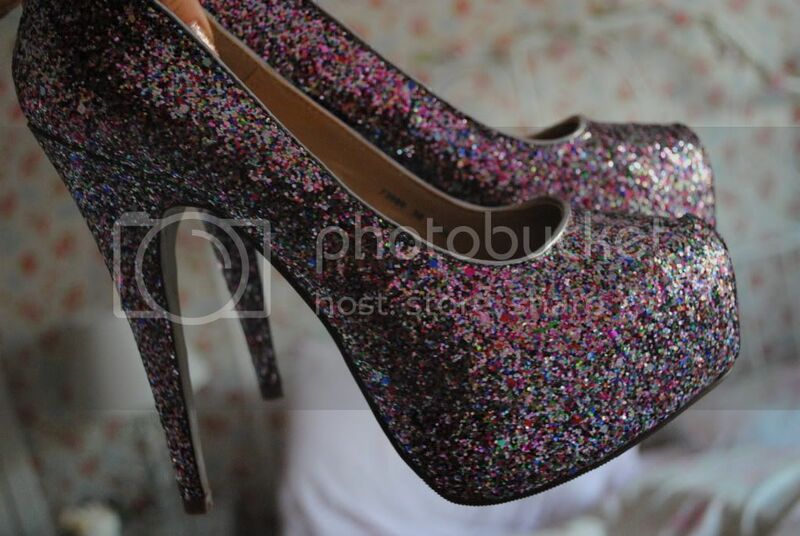 Just had to post about these amazing glittery heels I bought a few weeks ago. 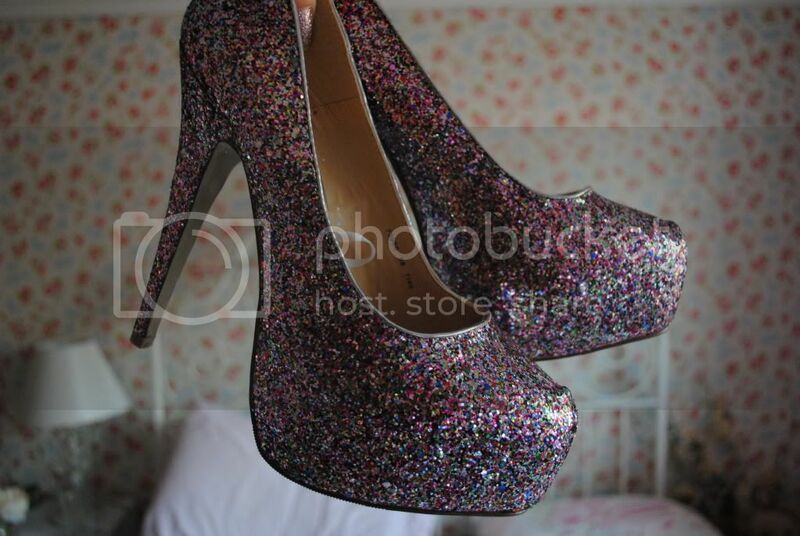 They're impractical, ridiculously high and I rarely go out so I'll probably never wear them - but HOW AMAZING ARE THEY?! 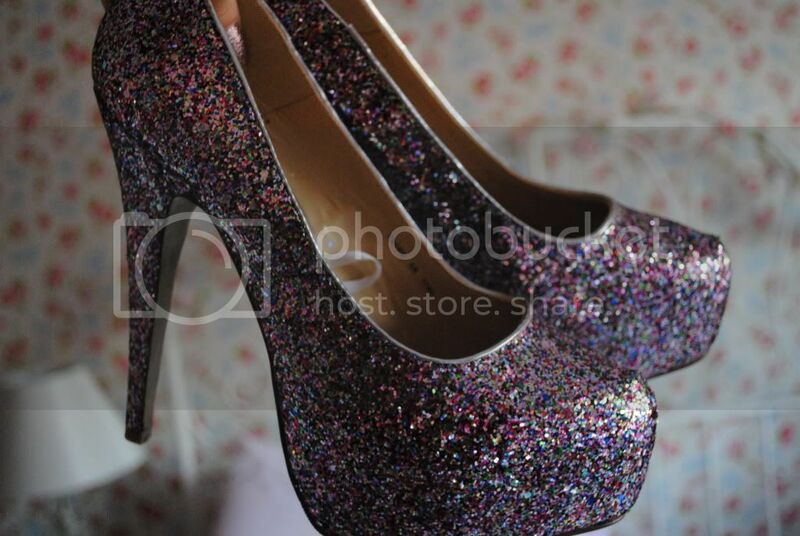 I've never seen such pretty shoes before. I know glitter is pretty much everywhere this season (mainly on our nails and our shoes) and so many shops are bringing out pretty glitter heels, but I think these babies beat them all and they were from none other than Primark. I couldn't believe it when I saw them sitting there winking at me on the shelf, I just had to have them. They're so striking and pretty and demand attention. The best part? They were also a bargainous £18! Yes, they might leave a glitter-filled trail behind me wherever I walk, but I really don't see that as a bad thing! Something that really sealed the deal for me when it came to these shoes is that they are pretty much identical to a pair I've seen in Topshop recently (which cost £62, no less) although the heel is slightly chunkier on the Topshop pair. All in all, I'm in love with them and have decided I will wear them on Christmas day, even if that consists of me sitting around in my pyjamas eating Quality Streets, I don't care. They're too pretty not to wear. 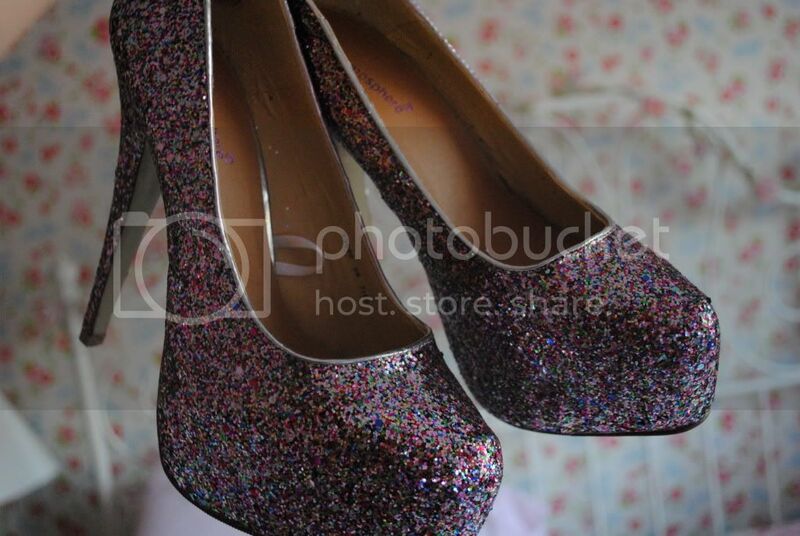 What do you think to my glittery shoes? Are you embracing the glitter this season?